Sundays to me normally mean long runs and glorious stacks of protein waffles or protein pancakes. I'm skipping my long run today, but I think you could say that today's stack of protein waffles is sufficiently glorious, dontcha think so? And, as always, this huge plate of food is still healthy and good for you! The whole stack comes out to only 420 calories and packs 44 grams of protein. 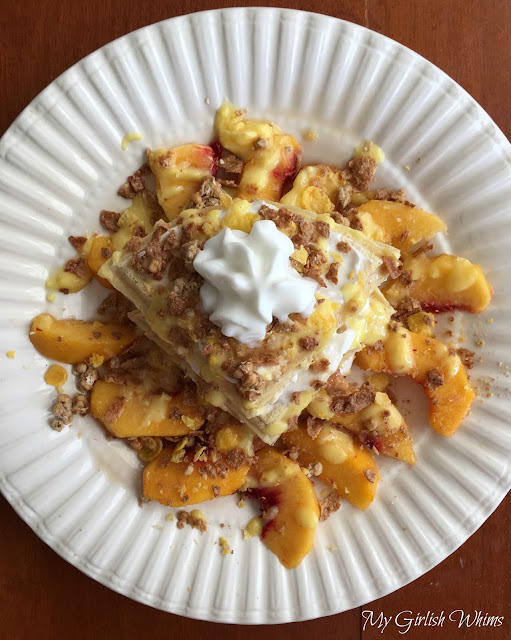 A perfect peach breakfast to get you moving for the day! 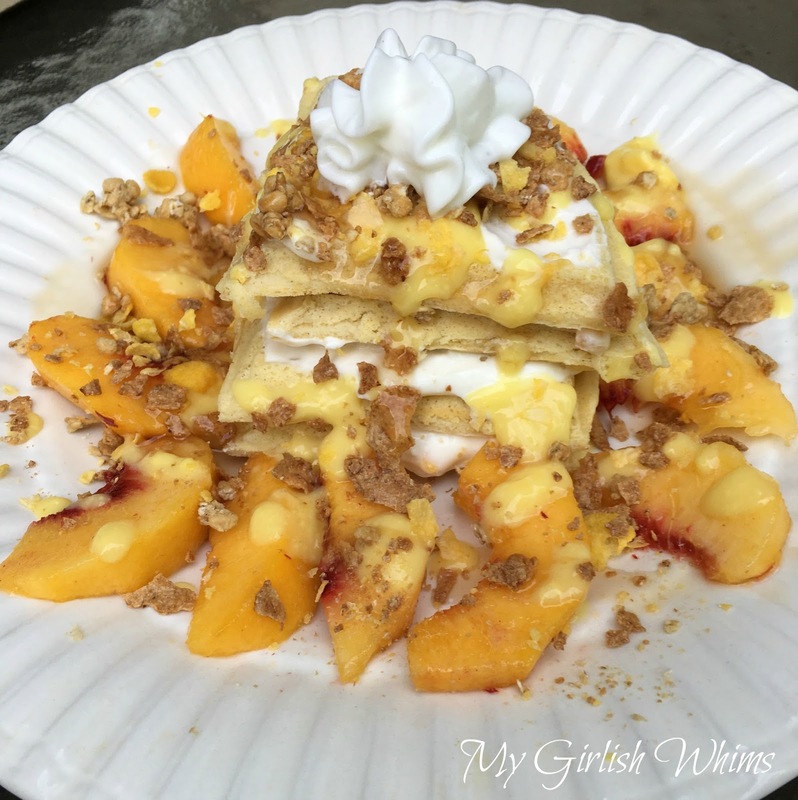 Cut cooked waffle into 4 servings and stack layering with peach greek yogurt and serve with sliced peaches. 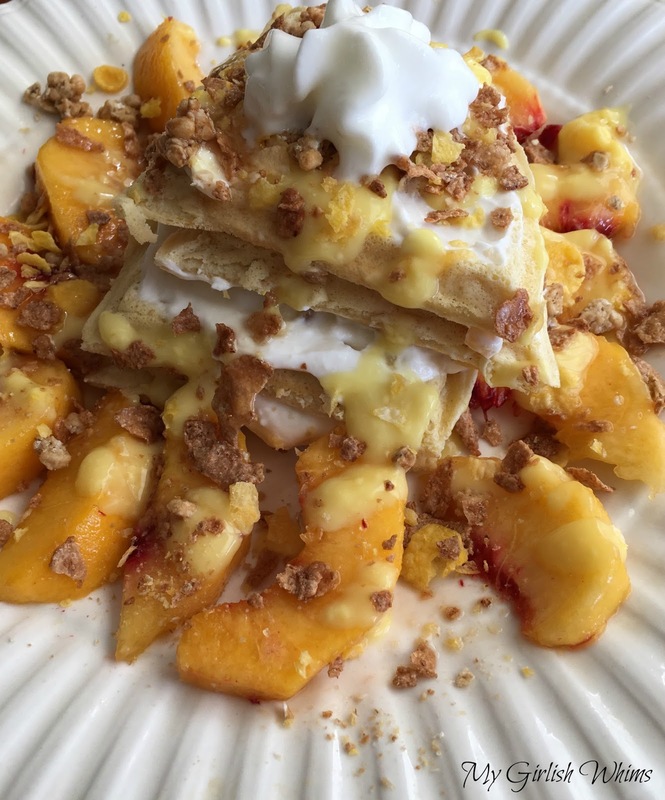 Drizzle with sugar free syrup and pudding and crumble the cereal over the top of the stack. 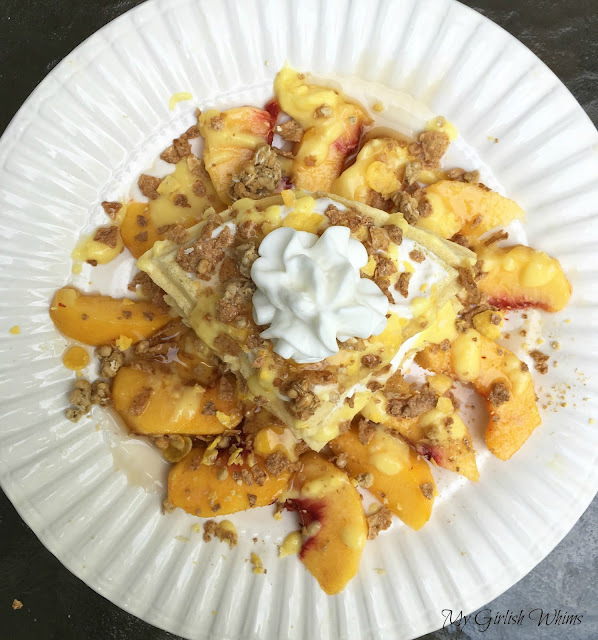 Add a bit of fat free reddi whip to the top and enjoy! My waffle came out to 420 calories, 47 grams carbs, 7 grams fat, and 44 grams of protein. You've really got me wanting all your protein waffle recipes! This may be the most important invention ever. Great post Rebecca. Look at that selection of mouth-watering desserts. These are very good! I added some nutmeg and ginger to mine as well as cinnamon, and we top them with the whipped cream in a can. Thanks! The recipes for your waffles are great. I tried and very satisfied. The food is delicious. I love this recipes for your waffles. I should try it very soon for me. How about this food test? I have just read https://www.totalbeings.com/the-paleohacks-cookbook-review-heres-what-i-really-think/ and it's very information. Do you want to check it?